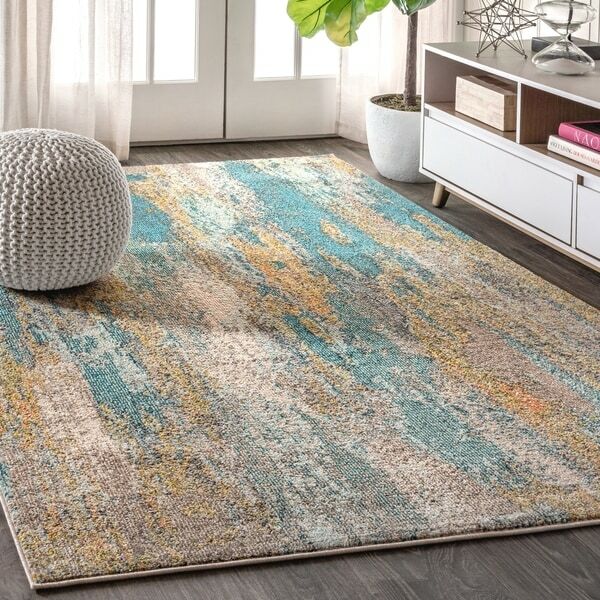 If you find it hard to tell whether this rug was loomed from fiber or painted right on the floor, you're not alone. Our designers took inspiration from contemporary art and translated it for your everyday spaces, power loomed of super soft polypropylene for maximum durability. The yarns are solution dyed for maximum color saturation so this combination of aqua, turquoise, light blue, gold, and gray will stun for years to come.